Broadly speaking, the two main categories of SEO are organic and paid. The difference between the two is fairly straightforward. Organic search results, for instance, are when a user puts a term into Google and your page pops up on the search engine results page (SERP). A paid search result is when your page appears because you bought an AdWord slot. Most SEO approaches try and use a combination of paid campaigns and organic keyword rankings to try and drive traffic and user engagement, but the balance between the two can sometimes shift. Developments among major search engines have seen paid approaches start to become more dominant in SEO, but this doesn’t necessarily mean organic can be left by the wayside. Google has always tinkered with its formulas and AdWords, but the 2015-2016 period has seen larger developments that offer increased advantages to paid approaches. For instance, Google’s mobile searches now feature a fourth paid listing, meaning the first page of a mobile search is almost all paid content. The appearance of shopping results alongside these paid ads further steers attention from organic rankings along with the appearance of ads in places they were formerly unknown—like Google Maps. This proliferation means that there are more places than ever where paid campaigns can bring your brand to a user’s attention. Now, this can sound like paid approaches are the way to go, but organic still has its territory staked out and isn’t rolling over any time soon. One of the first and most obvious reasons for this is that web-savvy users are inherently skeptical of advertisements. These are the folks who would rather scroll down and hit a company’s organic results link than click on their ad, or people who simply tune out whatever might appear in those AdWords boxes and not even give them a glance. 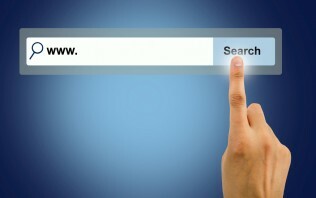 Users simply prefer organic search results to paid ones. than paid ones do. Consider rich snippets, videos, local listings, news results, and knowledge graphs. Each one of these can appear in organic search results and draw organic traffic in unique ways that paid content is incapable of providing. Obviously, the approaches that will work best for your site are going to vary depending on your business and the needs of your campaign, but the underlying facts remain the same. The third reason why organic rankings are still going to matter is that Google is constantly revising and updating its search algorithms. Over the years, search engines have become increasingly better at matching search queries to relevant pages. Google’s algorithms are updated up to 600 times each year as part of its drive to provide consistently ideal organic results, which is the premise that is responsible for its dominant position among search engines. As these methods improve, users will be increasingly matched with organic results that meet their needs best, so it’s imperative that your content is among them. 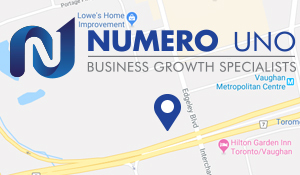 Numero Uno Web Solutions is a premiere provider of affordable search optimization services for businesses of all shapes, sizes, and industries. Our strategies take into account both the latest developments in organic and paid SEO and web marketing research along with tried-and-true approaches. Our precise, studied methods have benefited Toronto businesses along with industries across Richmond Hill, Vaughan, and more. Our success has even allowed us to extend our reach and offer SEO services to Texas, Massachusetts, and Florida.